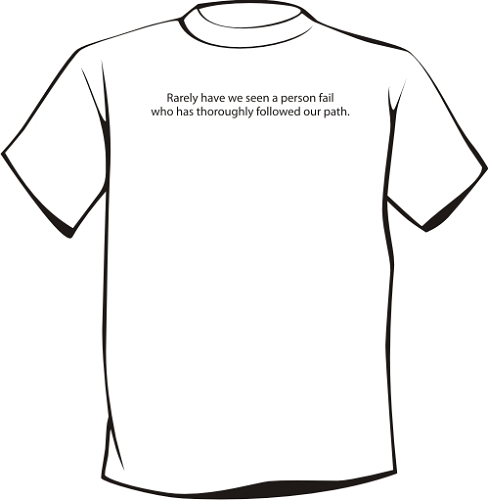 AA T-Shirts | Rarely have we seen a person fail | Tee Shirts for anyone in recovery! 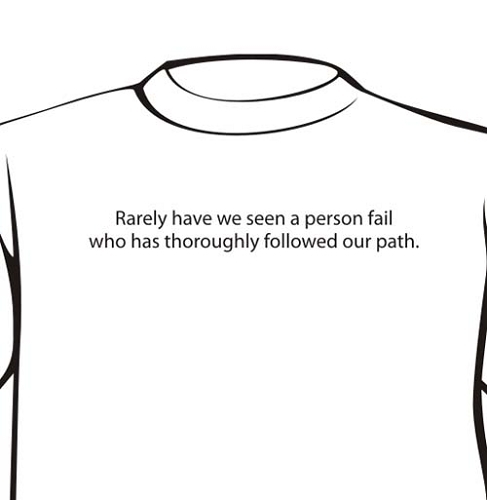 Resembling a fruity computer company's employee t-shirts, this tee states simply, "Rarely have we seen a person fail who has thoroughly followed our path." on the front side. 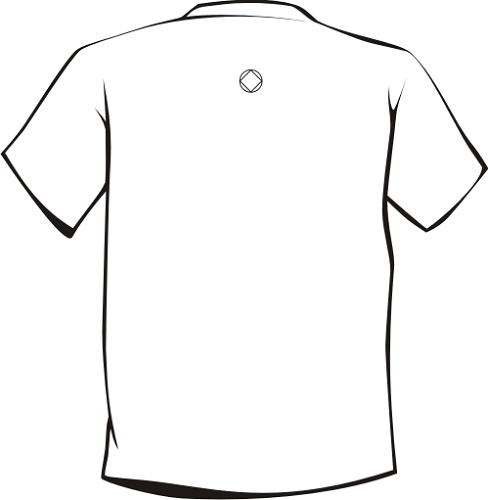 A small, subtle fellowship symbol appears on the back side of the shirt, as well. Made with premium quality 6.1 ounce heavyweight preshrunk 100% cotton T-Shirts. * All T-shirts are taped shoulder to shoulder, and are double needle hemmed for long-lasting durability. Nothing but the best for you! Have an idea for a great sobriety T-shirt? Need something specific for an event or special occasion? Please contact us! We can turn your idea into reality quickly and affordably!